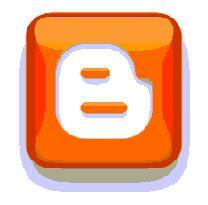 Blogs - so easy, so useful, and often free! Why not try your hand at a blog? Blogs are easy to create, and just as easy to uncreate (no webmaster skills needed). A blog is a web site akin to a journal. Blogs look much like many existing web sites, in that the main page is divided into three areas - top title, main content, and an archive sidebar, although many other free template styles and themes are available. Each blog entry (posting) may consist of more than just words. A posting might also contain images, links to files or other web pages, and even short videos. Each new post (usually) appears at the top, first in the list of posts. Some of today's best known blog uses are: recording daily travel adventures for family, showing the progress of a hobby project, commenting on politics, and keeping club members up-to-date. Some blogs become so popular that advertisers offer money for link placement.